NovAtel Inc. today launched its new TerraStar-C PRO correction service with multi-constellation support, including the GPS, GLONASS, Galileo and BeiDou constellations. Combined with NovAtel’s OEM7 positioning technology, TerraStar-C PRO cuts initial convergence times by nearly 60 percent and offers 40 percent better horizontal accuracy than the current TerraStar-C service. NovAtel’s TerraStar-C PRO offers a robust multi-constellation solution that provides greater positioning accuracy, availability, and reliability than ever before, according to the company. With the growing number of operational GNSS satellites, TerraStar-C PRO offers considerable benefits in challenging signal conditions such as multipath, shading, interference, and scintillation. High rate TerraStar-C PRO corrections provide re-convergence in less than 60 seconds following brief GNSS signal interruptions. TerraStar-C PRO multi-constellation corrections combined with OEM7 technology are said to enable a 2.5 cm horizontal accuracy, initial convergence in under 18 minutes and worldwide coverage. 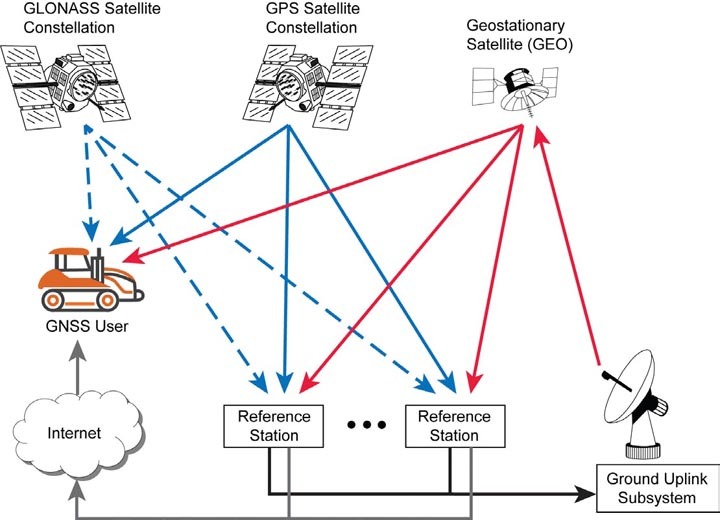 TerraStar-C PRO corrections are generated using TerraStar’s proprietary global network of more than 100 strategically located GNSS reference stations. The correction data is delivered worldwide through overlapping geostationary satellites directly to a NovAtel receiver or via cellular IP network. With OEM7 triple L-Band support, TerraStar-C PRO correction signals from up to three satellites can be tracked and used simultaneously, providing continuous correction data reception when the primary satellite signal is blocked. TerraStar-C PRO is available immediately as a termed subscription service for agriculture, unmanned, airborne, and land applications, such as survey, mapping and GIS and supported on compatible OEM7 products with firmware version 7.05 and later.